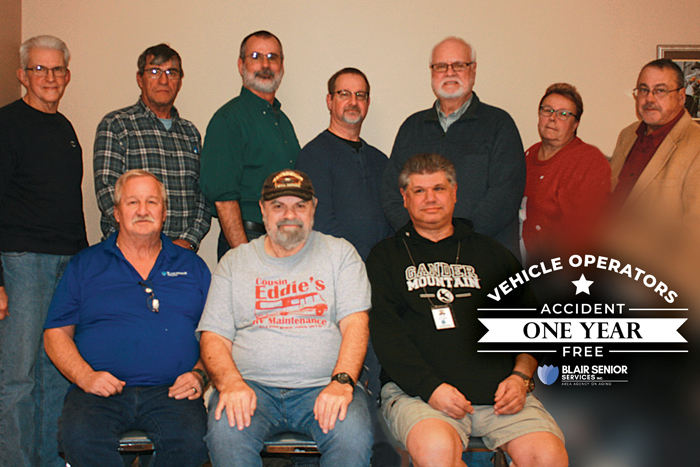 Blair Senior Services, Inc. Transportation Department held their annual Safety Training and Awards Meeting on December 10, 2018 at the Central Blair Senior Center in Altoona, PA. Recognitions included a long list of Accident Free Drivers Awards, the 2018 Rex Fahr Customer Service Award, and a special presentation of the Ecolane’s Pennsylvania Partner Award to Blair Senior Services, Inc. as Pennsylvania’s Transportation Provider of the Year. 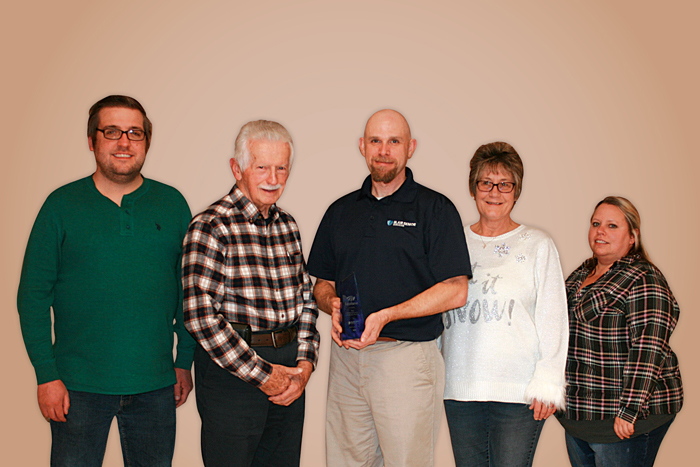 Celebrating 2018 Blair Senior Services, Inc.’s Transportation Departments achievements are: Sean Ford, Nominee of the 2018 Rex Fahr Award for Consumer Service: Peter Harter, Recipient of the 2018 Rex Fahr Award for Consumer Service: Dennis Wisor, Transportation Program Manager, holding the 2018 Ecolane’s Pennsylvania Partner Award: Deb Lee and Robbin Snively. Nominees of the 2018 Rex Fahr Award for Consumer Service. 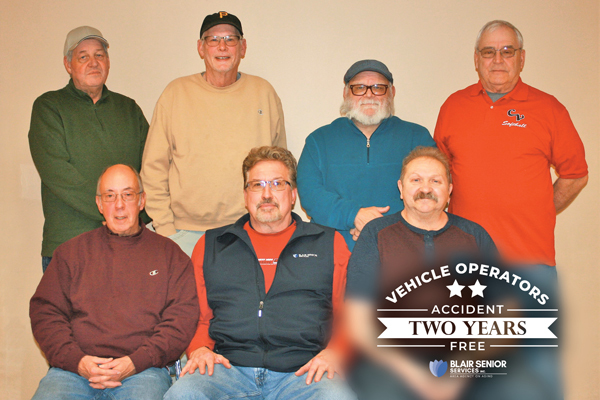 Vehicle Operators Two Years Accident Free: Terry Brumbaugh, Pete Bucci, Gregg Bunn, John Butler, Dan Novak, Craig Schaffer, and Clair Servello. Pete Harter was awarded the 2018 “Rex Fahr Award for Consumer Service” for consistently doing good work every day. According to Wisor, “The Rex Fahr Award was named in memory of the late Rex Fahr, a past Transportation Department driver from June 2013 to January 2016, who was well loved and respected for his exceptional work and personality.” Other nominees for the award included Sean Ford, Deb Lee, and Robbin Snively. 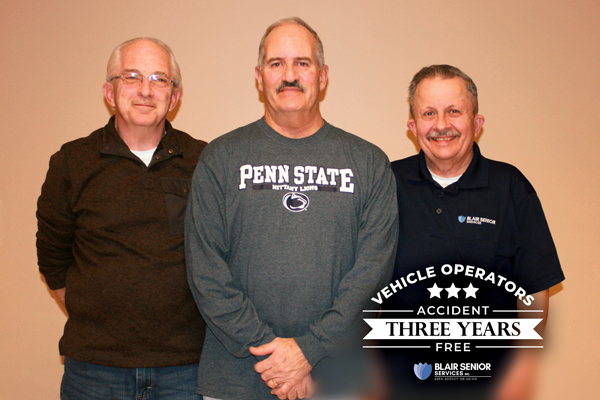 Vehicle Operators Three Years Accident Free: CJ Brewbaker, John Scalzi, and Dennis Skorupa. Blair Senior Services, Inc. Transportation Program offers convenient and affordable door-to-door transportation services to Blair County residents through their fleet of thirty shared-ride vans. They provide more than 120,000 trips each year. Anyone can ride in the vans, regardless of age, and some programs help pay for transportation for certain individuals under age 60. Consumers age 60-64 are eligible for funded trips to medical appointments and federal buildings, such as the Social Security office. Consumers, age 65 and older can use the vans for any purpose, such as shopping, errands, visiting friends, and medical appointments. Pennsylvania Lottery funds pays 85% of the fare for consumers age 65 and older, while Blair Senior Services, Inc. shares part of the remaining 15% of the cost for most trips. 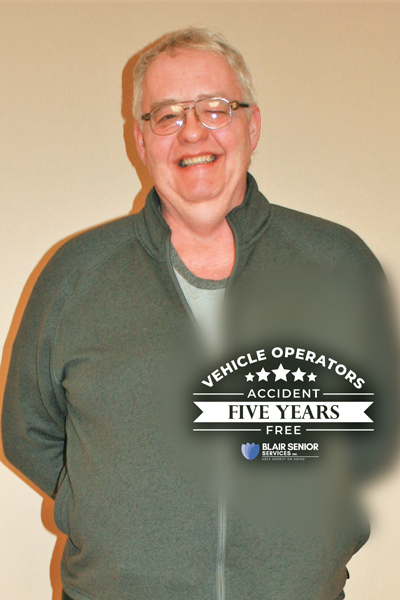 Vehicle Operators Five Years Accident Free: Joe Will. 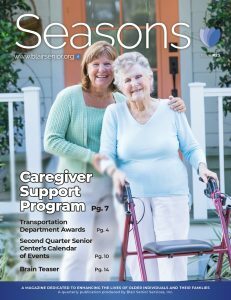 For more information contact the Blair Seniors Services, Inc. Transportation office at (814) 695-3500 or visit their website at www.blairsenior.org.